This is the superb Pol Roger Champagne on a large scale! 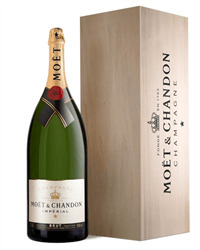 You will be getting 900cl of Pol Roger Brut champagne in one exciting bottle called a Salmanazar. 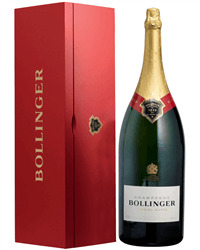 The bottle is delivered in its own Pol Roger Champagne wooden box to keep it safe and looking excellent. 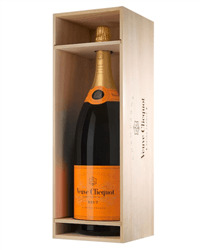 Send an exciting Salmanazar of Champagne pouring 72 glasses each. 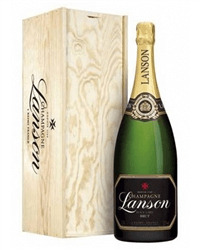 Our range of Salmanazar of Champagne gift - 9 litre bottles includes champagnes from Laurent Perrier, Lanson, Moet, Veuve Clicquot and Pol Roger. Order online or by phone and we will deliver to the address of your choice, beautifully packaged in its own wooden presentation box.